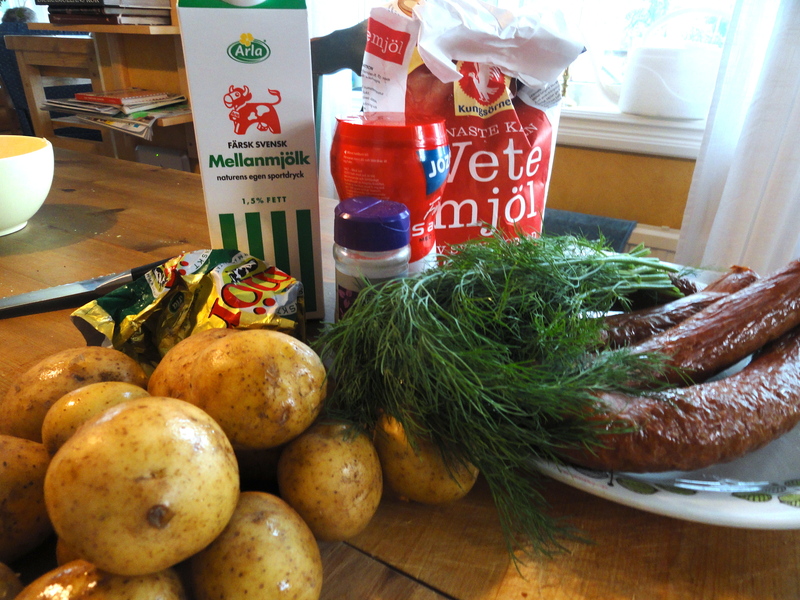 It is time for another post on traditional Swedish food – husmanskost – and this time one of my father’s absolute favourites. 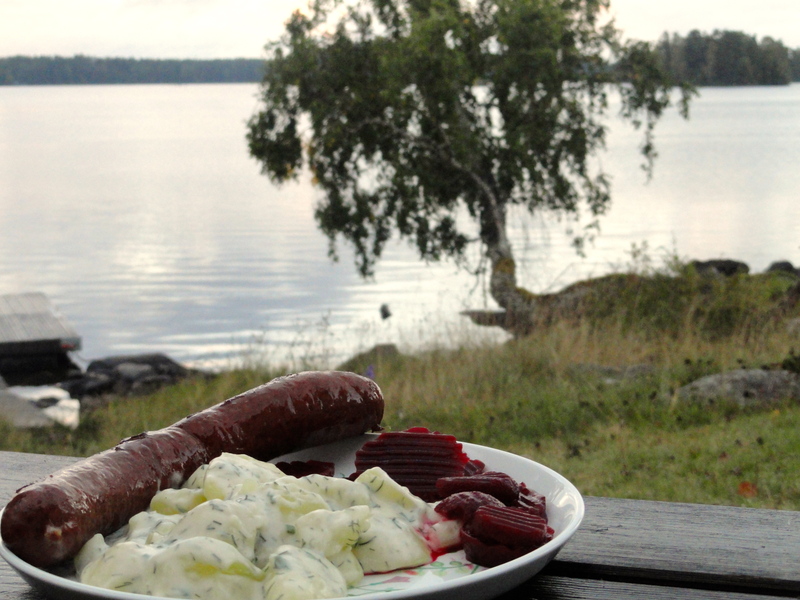 Isterband is a smoky, slightly acidous and grainy sausage made of heart and tongue, originally from the Småland region. It is typically served with stewed potato and pickled beetroot, and to me it tastes of autumn like few other things – it belongs with the smell of burning leaves and crisp air. It is hearty, warm and packed with flavour. – 1 pack of Isterband (this will be difficult to get a hold of outside of Sweden, but could probably be substituted with some other kind of large smoked sausage). – 1/5 kg of potatoes, a firm variety. 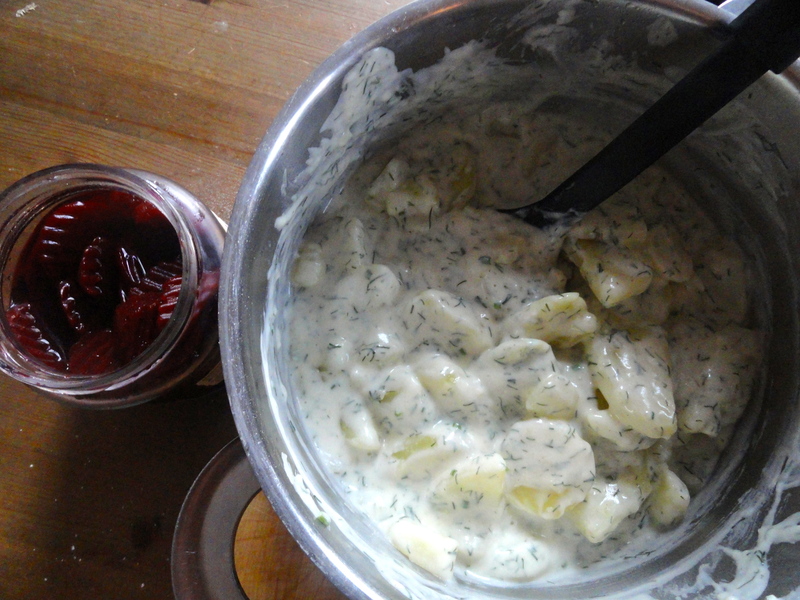 Dill stewed potatoes is a mild, standard side to any smoky Swedish food, and very easy to make. 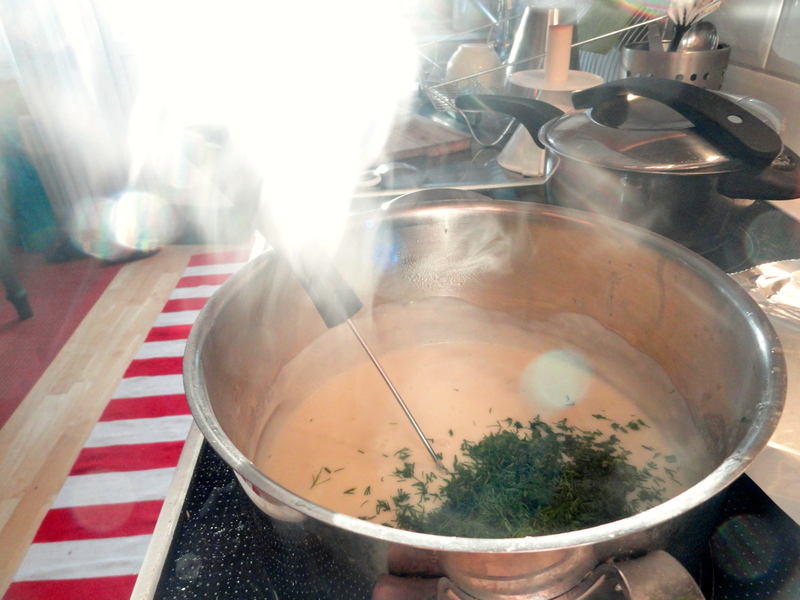 It relies on the usual suspects for flavouring (dill and white pepper) together with the creaminess of milk and butter. Start by peeling, slicing and boiling the potatoes. Make the slices thick so that they don’t break in the water, and be careful not to overcook them. Start frying the sausages on a low heat in a wide pan (they should fry for about 25 minutes). 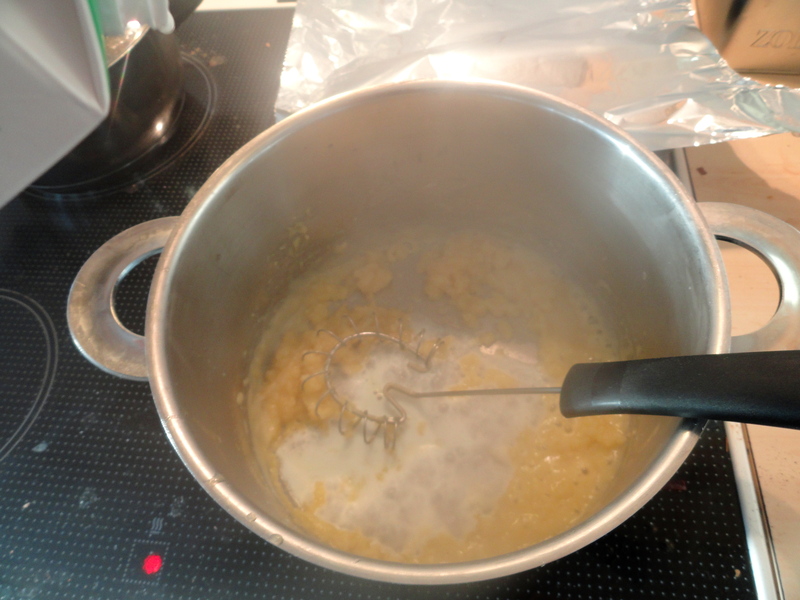 Then make a bechamel base by melting the butter in the pan, and carefully whisking in flour until you have a thick paste. 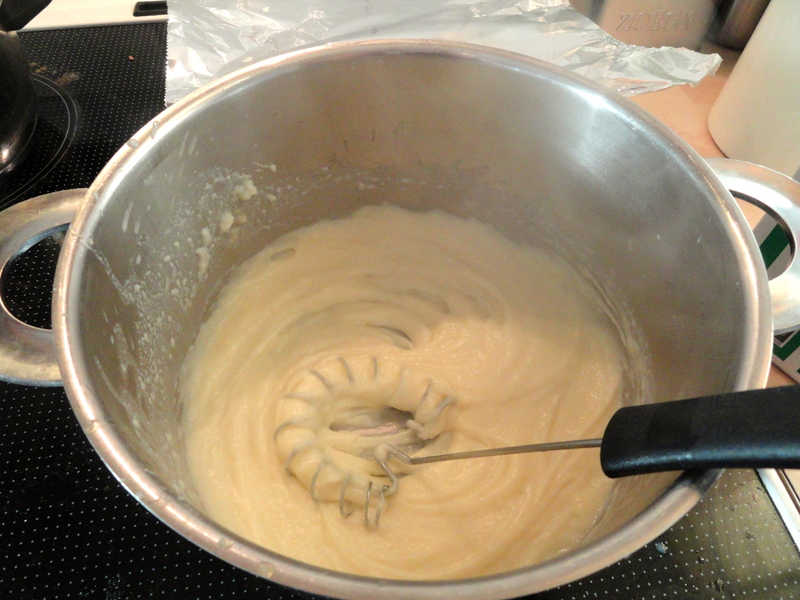 Add milk slowly to the paste, to make a thick, creamy sauce. You can choose how voluptuous you like the sauce to be – if you want the supreme, extend it with cream or a bit of creme fraiche. If you’re feeling frugal, go with milk, which is the classic way of making it. One you’ve reached a thick, smooth consistency, add salt and white pepper (you can be rather generous). Add the chopped dill and some nutmeg, then pour the sauce over the potatoes. Take the sausages off the pan and serve immidiately. The heavy smokiness of the sausages is rather dominant, and the potatoes are there to provide a smooth, mild balance. By serving this with pickled beetroot you also get a sweet contrast to the rest. It’s a well-balanced, autumnal and most warming meal. 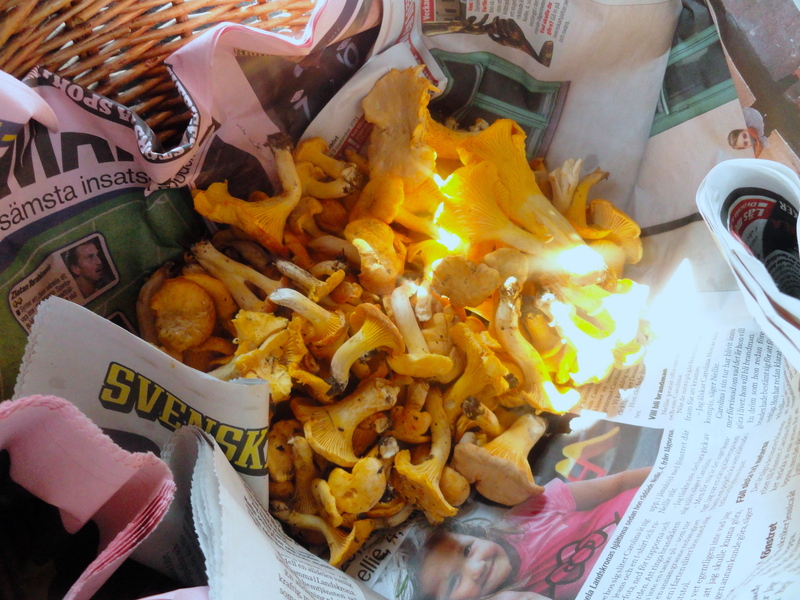 Because of the terribly rainy summer, Sweden is invaded with golden chanterelles at the moment. My stepmum complains over being bombarded with everyone’s beautifully instagrammed pictures of them on twitter. 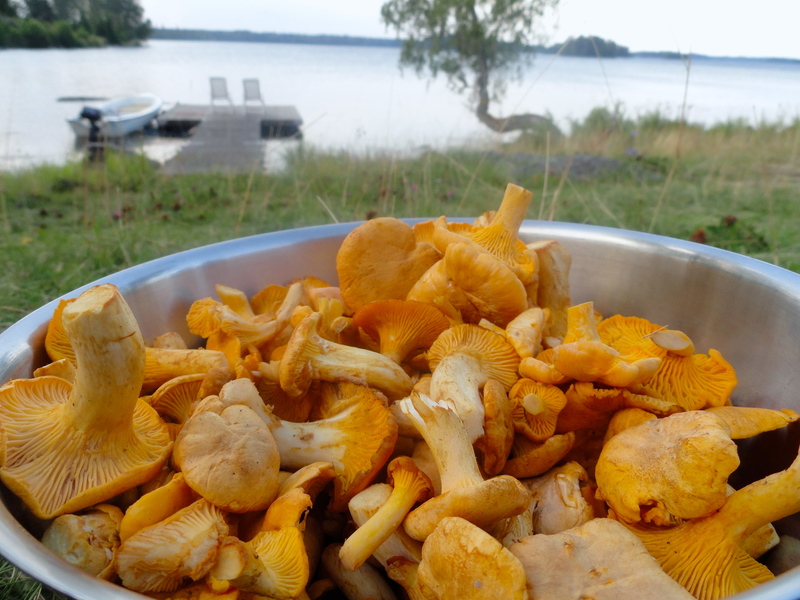 The chanterelles, which only grow in the wild, have a floral, spicy and slightly nutty flavour with hints of apricot, and are known in Sweden as the gold of the forest (and the price tag for fresh ones in London suggests there’s something to that name). 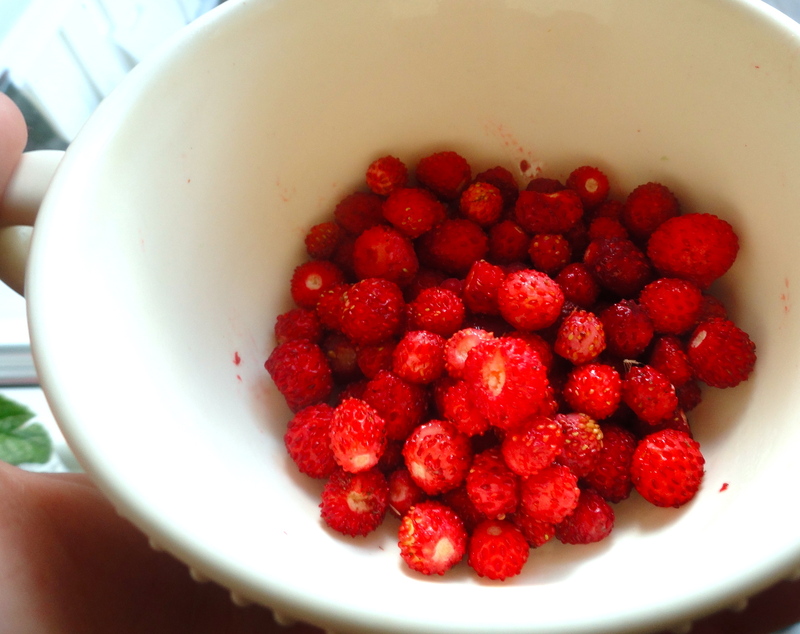 All the more reason to write about these tasty beauties, so here is my mini-guide to finding, picking and eating them. Finding. 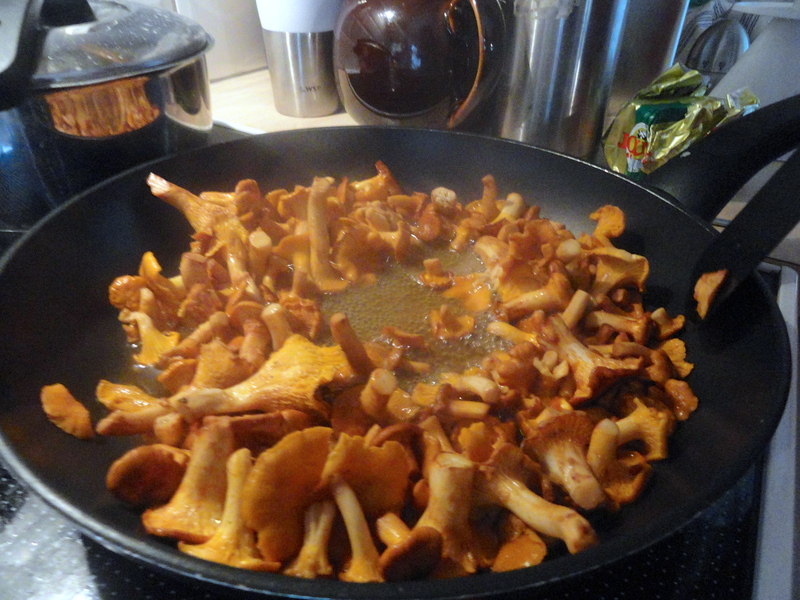 My sister-in-law who is from the dark forests of Värmland has what we in Sweden call kantarellnäsa – chanterelle nose. This has nothing to do with the appearance of her cute, shapely nose, but rather to her mysterious talent of finding these mushrooms in the wild. No matter how hard I try, I never find as many as she does. Her main tips are to look on small hills in the forest with a sunny side, in areas where birches grow sparsely together with large fir trees. If you lift the lowest branches of fir trees growing in these conditions, you can often find some chanterelles. Also, stay clear of patches of the forest where lingonberry and blueberry bushes grow, because if you find one of these you’re rather unlikely to find chanterelles nearby. Chanterelles like rainy summers but also heat, so like grape vine they enjoy hillsides where they can soak up as much warmth from the sun as possible (however they tend to live in the undergrowth, so you rarely find them in direct sunlight). Foraging. Whilst picked berries can be placed and stored in plastic containers, mushrooms should ideally be placed in an airy basket lined with newspaper, and be wrapped in newspaper in the fridge when stored at home. 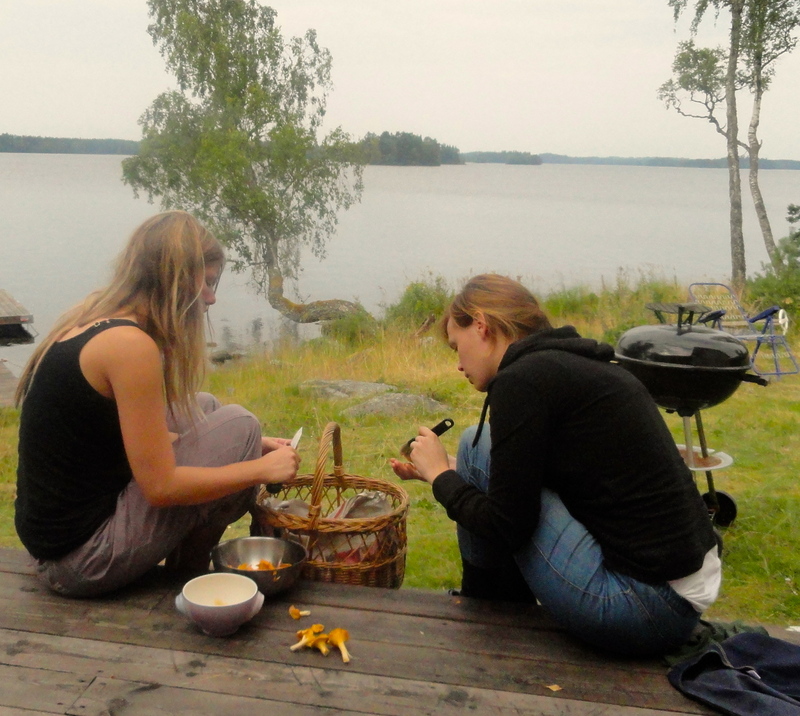 If you actually make your way to Scandinavia to forage, mosquito repellent and long-sleeved thin clothing is essential. Mosquitos are simply a pain, especially in the forest if it’s been rainy and hot, which means they co-exist with the chanterelles. Also, large parts of Scandinavia have ticks in high grass, who sometimes carry Borrelia, a very serious disease if it goes untreated. So make sure to check your elbows, knees and other skin creases after coming back from the forest or meadows with high grass. If you’ve caught a tick, gently remove it with a tweezer. Normally that’s all there is to it, but if you get a red circular rash developing around the bite after a few weeks, see a doctor. A final hazard of foraging in the wild is the risk of picking the wrong kinds of mushrooms. Unless you’re an expert, stick to picking only golden chanterelles which are unmistakably golden and hard to confuse with anything else. Do not pick any white mushrooms at all, as you might accidentally pick Vit Flugsvamp, aptly named Destroying Angel in English, which looks like this. Even a small quantity can lead to a slow and painful death, so it’s important to wash your hands if you accidentally touch one. 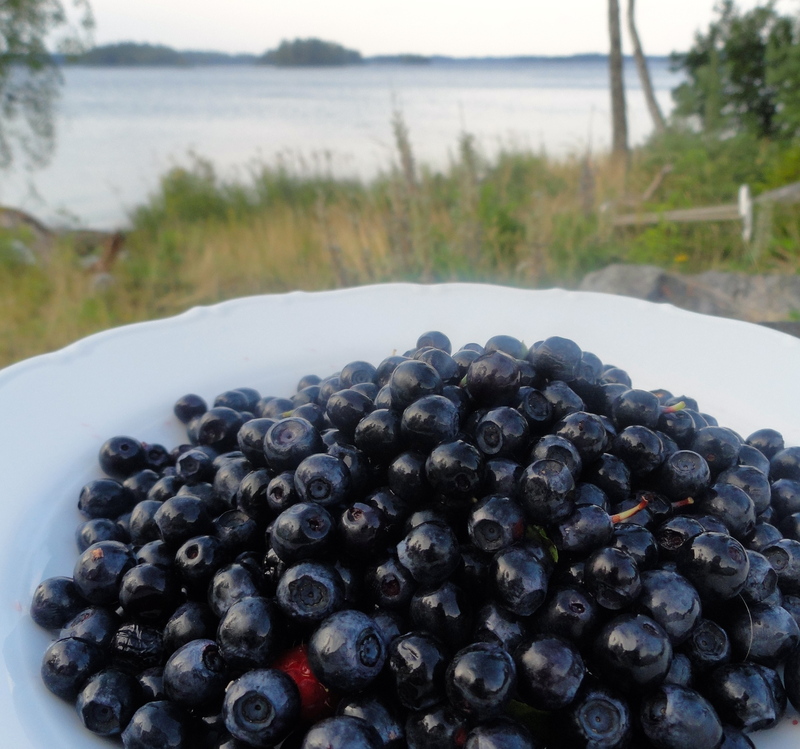 On the upside, most of the berries you find in the forest and meadows are perfectly edible, so after all those heavy warnings, here are some cute photos of blueberries and wild strawberries. Cleaning. Once you’ve gathered a basketfull of chanterelles for yourself, it’s time to clean them so they are ready for the pan. For this you need a small brush and a knife to remove the bottom of the stalk with. Cut the very bottom of the stalk just to remove the dirty root, and then carefully remove any other dirt on the mushroom with a little brush. You can use an egg brush for this. This is rather time-consuming, but do not under any circumstances wash the chanterelles, as this removes a crucial part of their flavour. If you’re too impatient or scared of bacteria for this process, you may simply have to stick with green-house grown mushrooms. Cooking. With their distinct flavour, chanterelles take-over or accompany a great array of dishes and they blend beautifully in salads with apple, in reindeer stews with lingonberry, or with scrambled eggs. However, I prefer to just enjoy them on their own, pan fried in butter, and placed on toast. This is particularly delicious if you bake your own sourdough bread and toast it on high heat in the pan you’ve cooked the chanterelles in (but baking sourdough bread is something I have yet to learn and most likely requires a mini-guide of its own). 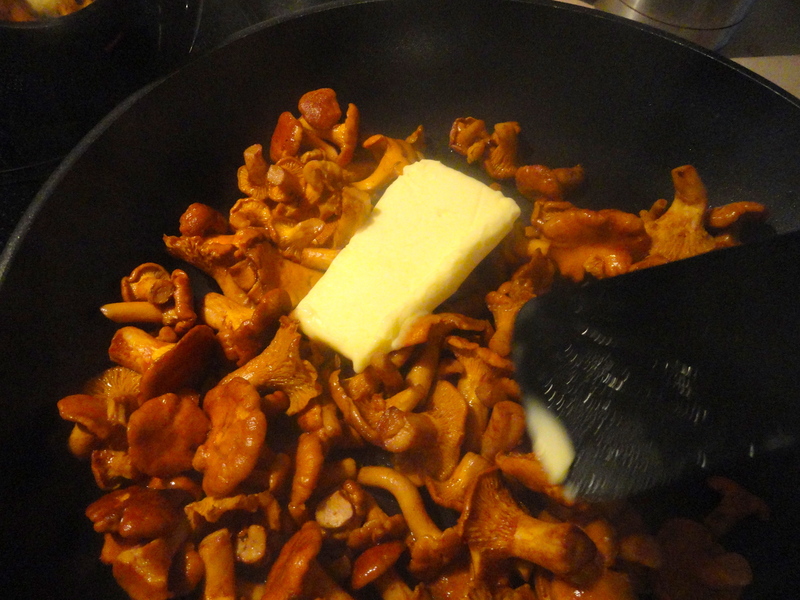 Pan-fried chanterelles require a hearty spicing of butter (and if you even consider replacing it with something lighter you might as well not bother), however you must not put it in at first, but instead turn the water out of the mushrooms by dry frying them. This is a heartbreaking process in many ways, as you’ll see your large batch of chanterelles shrink considerably. Once their water has evaporated from the pan, add a large knob of butter and let the chanterelles soak in this whilst frying for a few minutes. Remove from the pan, increase the heat and pan-toast your bread in the leftover butter. 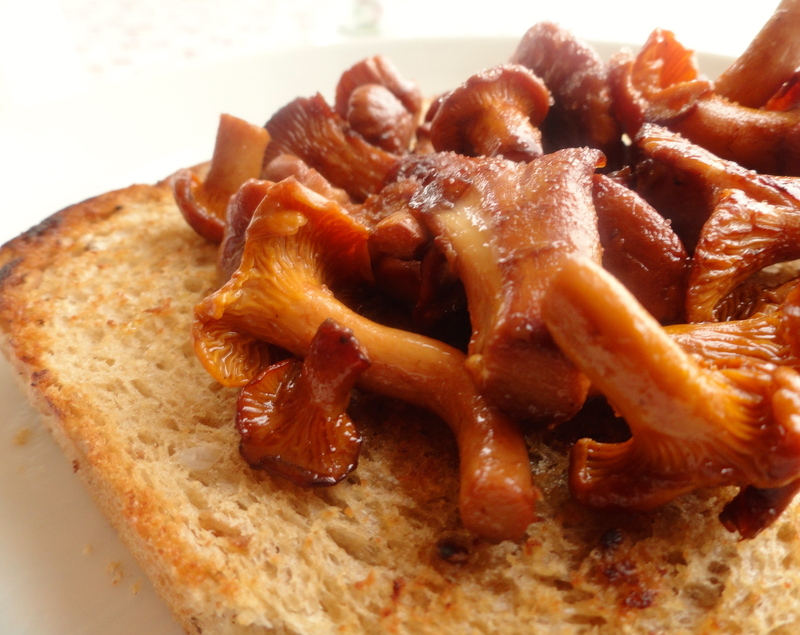 Place the mushrooms on top of the toast and sprinkle with salt and white pepper before serving. Absolutely delicious.